Just as we expected, yesterday Euro started growing up. 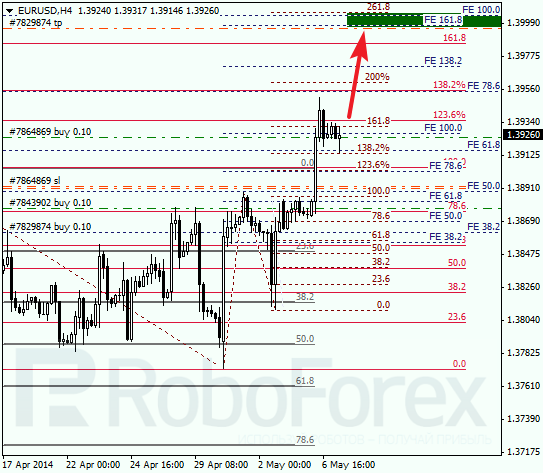 Possibly, price will move upwards to reach the group of upper fibo levels at 1.4005 – 1.4000 to test them from below. During correction, I opened another order, my third one. 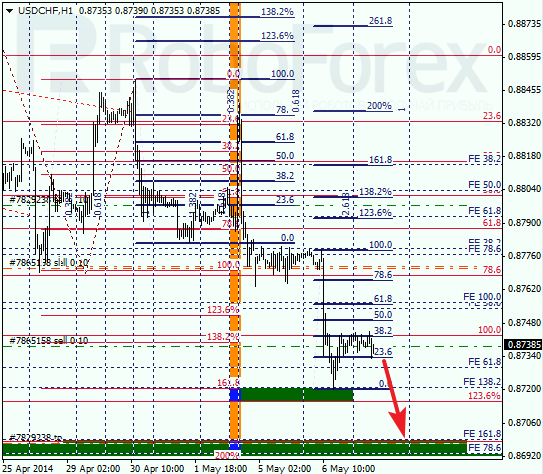 As we can see at H1 chart, pair is trying to rebound from local level of 38.2% (1.3920). According to analysis of temporary fibo-zones, upper targets may be reached by Thursday. Yesterday, Franc reached new minimum. During correction, I opened another sell order. In the future, instrument is expected to start new descending movement towards the group of lower fibo levels at 0.8695. 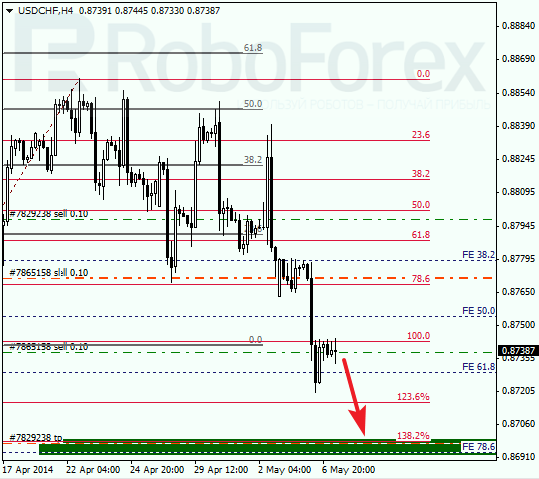 As we can see at H1 chart, on Tuesday Franc reached its intermediate target at 0.8720 – 0.8715 and started new correction. 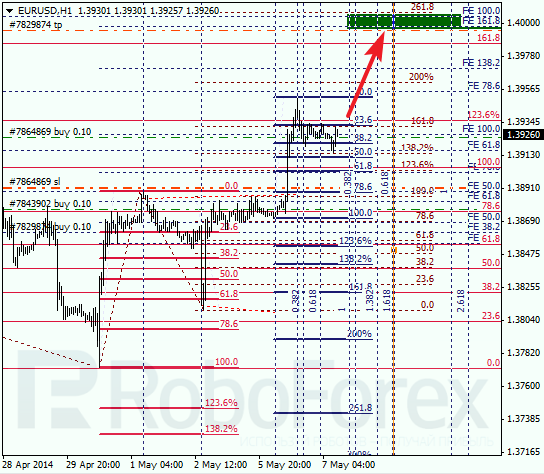 If price rebounds from local level of 38.2%, market will continue moving towards its main target at 0.8695.